Ringgold County Public Health offers home health services as well as a variety of public health services, including immunizations in our office clinic and at various locations throughout the community. Every child should be protected against diseases that can cause brain damage, paralysis, deafness, blindness, cancer and even death. Our immunization clinics are held the second Thursday of every month with alternative times arranged as needed. Please visit our Immunizations page on this website for more information. 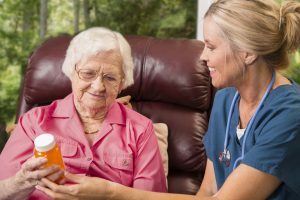 The Ringgold County home health care staff delivers personalized services according to your physician’s plan of care and your home health needs. We accept referrals for service from physicians, hospitals, family, friends and clients themselves. Please visit our Home Health page on this website for more information. Ringgold County Parents as Teachers is here to help provide information, support, and encouragement to parents to help their children develop optimally in the first crucial years of life. We will help provide you with skills and tools to be more involved with your child’s education, connect with your child through play and reading, and become more confident as a parent. Please visit our Parents as Teachers page on this website for more information.